H. 8607 - la capanna represents one of the most significant beachfront residences ever created in naples. Old world italian renaissance era ambiance takes inspiration from an ideal beachfront location giving it the feel of a mediterranean seaside resort. Beyond a gated entry, park-like grounds part to reveal a palatial 18,172 sq. Ft. Estate home that is unsurpassed. Includes a home theater, beach side game room, fitness center, pool side cabana with pergola covered spa, his and her studies, guest house, 5-bay collectors garage and finishes that redefine luxury and quality. Stunning two story rotunda welcomes guests and offers immediate gulf views. Relax or entertain in this handsome lounge, featuring a full mahogany bar with emerald marble bar top, marble floors and a burnished faux finished coffered ceiling. Additional features include a 500 bottle wine room, state of the art electronics, whole house crestron automation, interactive fountain with led lighting and much more. Relax in the zero edge pool/reflection pool and poolside cabana with full kitchen that is ideal for entertaining. La capanna is a masterful blend of design, craftsmanship & artistry by a. Vernon allen builders. This superb home with revered architectural antecedents is positioned along one of port royal's most magnificent waterways. Built with attention to detail and following demanding construction protocols, the genius loci is a graceful union of comfort and function. 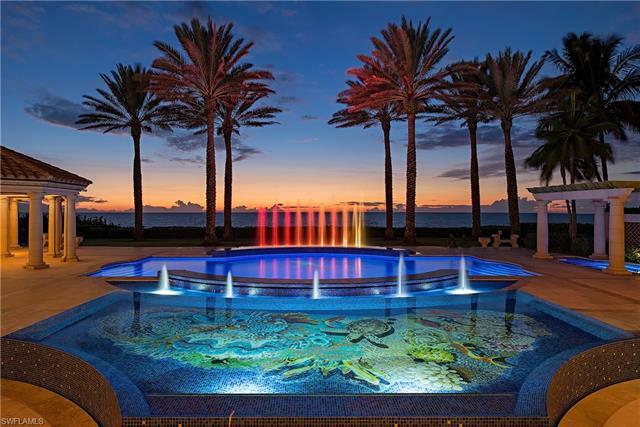 It is recognized as one of the very finest homes ever built in naples, florida. As the featured cover story in florida home and design magazine. Sweeping water vistas and contemporary interiors are a sublime match at this superb modern property. This stunning estate completed in 2017, and designed by stofft cooney is set on nearly 1. 5 acres. The home is crafted from the finest materials featuring, italian white-oak floors, bamboo veined limestone, marine grade stainless steel, and egyptian grey hammered natural stone. Vast sliding glass walls disappear for seamless indoor-outdoor living, leading to large lanais, outdoor kitchen, a firepit, and a 77 ft. Glass-tiled pool. The expansive grounds also encompass a natural beach and oversized four-car garage. Owners are eligible to join the exclusive port royal private beach club complete with spa, tennis facilities, beachfront dining, and a fitness center.